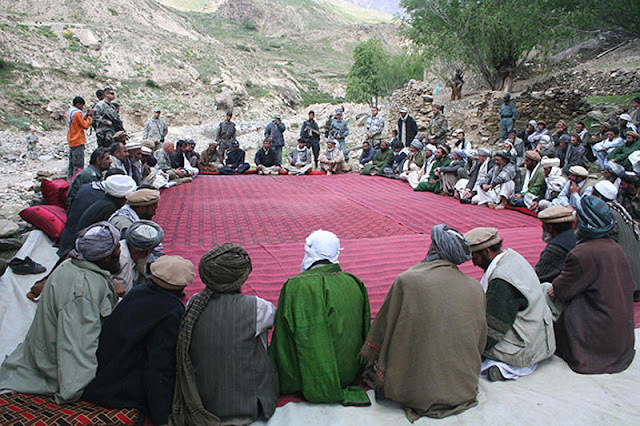 A jirga in Afghanistan. Such systems are a commonplace dispute resolution mechanism in Pakistan as well. It has taken nine military operations since 2002 to clear Pakistan’s frontier and tribal areas from Taliban, and millions of people have been displaced from their homes, some more than once. Pakistanis have paid a high price for allowing religious extremism to grow on their soil. Between 2003-17 over 21,000 civilians, and even more militants, have been killed. Agricultural work in Pakistan is becoming feminised and accounts for more than 70 per cent in the work force. How well is women’s agricultural work is recognised amongst the policy makers of the country is still unclear, but it is a key area of interest for researchers in understanding the linkages between women’s agricultural work and their health outcomes.